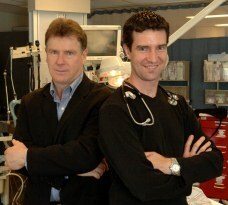 The New England Journal of Medicine, widely regarded as the top medical journal in the world, has recognized two research studies from The Ottawa Hospital and the University of Ottawa on its list of the top 12 studies it published in 2015. 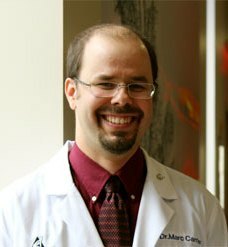 One of the studies, led by Dr. Marc Carrier, found that contrary to expectations, CT scanning does not improve cancer detection in people with unexplained blood clots. The other study compared the traditional CPR approach among emergency responders (chest compressions with interruptions for rescue breathing) with a newer approach that uses continuous chest compressions and rescue breathing. Contrary to expectations, the study shows that the newer approach is no better, and may even be a bit worse. It was led by a large Canada-U.S. research consortium that includes Drs. Ian Stiell and Christian Vaillancourt. The New England Journal of Medicine receives thousands of submissions each year and selects about 200 for publication. Those chosen for the “Notable articles of 2015” list represent “the cream of the crop, the dozen studies from 2015 that we think will have the biggest influence on medicine,” according to Editor-in-Chief Dr. Jeffrey M. Drazen. The Ottawa Hospital is one of Canada’s largest learning and research hospitals, with more than 1,100 beds, approximately 12,000 staff members and an annual budget of about $1.2 billion. Our focus on learning and research helps us develop new and innovative ways to treat patients and improve care. As a multi-campus hospital affiliated with the University of Ottawa, we deliver specialized care to the Eastern Ontario region, but our techniques and research discoveries are adopted around the world. We engage the community at all levels to support our vision for better patient care. From the compassion of our people to the relentless pursuit of new discoveries, The Ottawa Hospital never stops seeking solutions to the most complex health-care challenges.